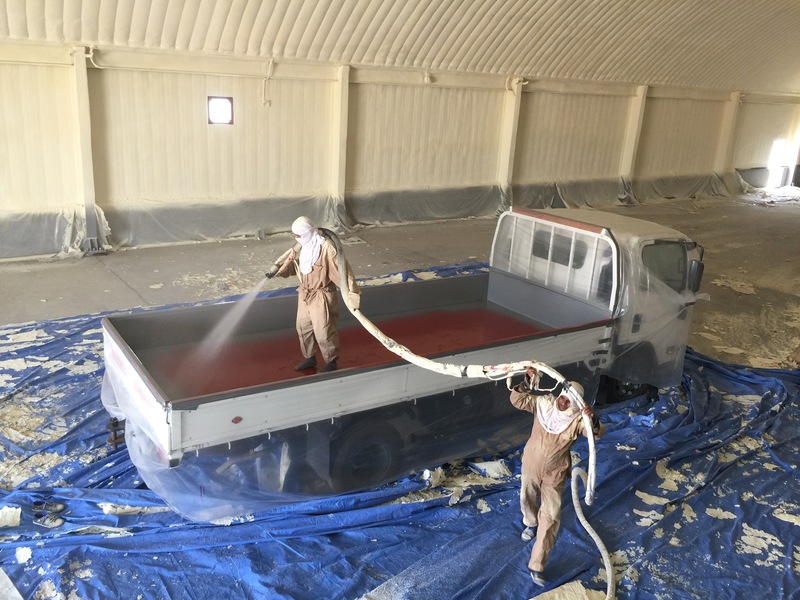 Polyeuro ® 5901 is a fast set, rapid curing, 100% solids, flexible, aromatic, two component spray polyurea that can be applied to suitably prepared concrete and metal surfaces. Its extremely fast gel time makes it suitable for applications down to -20°F. It may be applied in single or multiple applications without appreciable sagging and is relatively insensitive to moisture and temperature allowing application in most temperatures. Neutral. Custom colors are available upon request. Due to its aromatic composition, Polyeuro ® 5901 will tend to yellow or darken in color and will become flat after exposure to UV light. Polyeuro ® 5901 may be topcoated with an ali- phatic polyurethane coating for a colorfast finish. Polyeuro ® 5901 may be applied at any rate to achieve desired thickness. Theoretical coverage for 1 mil thickness is one gallon per 1600 sq. ft.